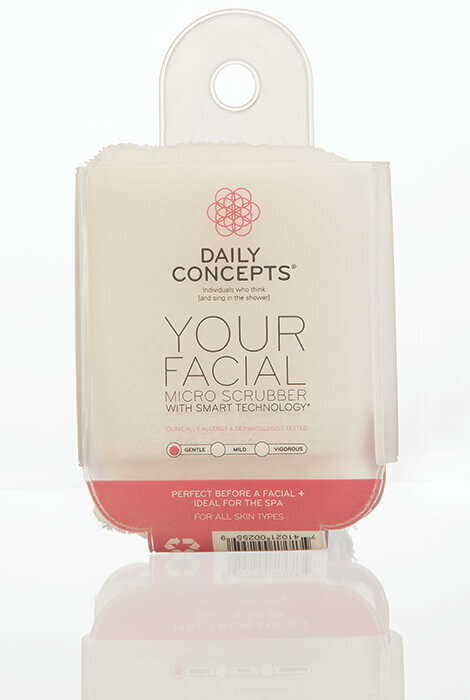 A unique facial scrubber that not only exfoliates as it cleans, but also lets you know when it's time for replacement. The outside is a natural cotton base layer with nylon loops for a gentle, renewing cleanse. Inside the scrubber, environmentally friendly foam creates a rich lather. The label has an indicator that fades when it's time to replace, for optimal hygiene. 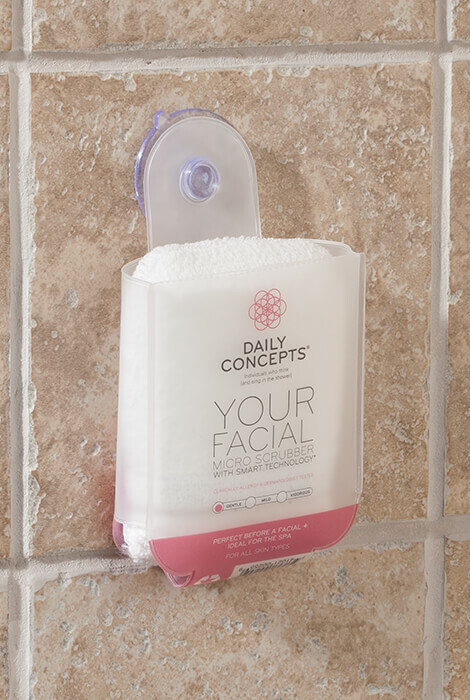 The functional package has a suction cup for hang-dry storage. Clinically, allergy and dermatologist tested. 1. Rinse the Konjac sponge in warm water before each use. 2. Apply cleanser or use alone to gently massage skin in circular motion. 3. After each use, rinse thoroughly, squeeze out water and hang to dry in well-ventilated area. 4. Use twice daily; recommended morning and night. 5. Replace after 3 months (90 days). Charcoal: Konjac powder, Bamboo Charcoal, Water (Eau). Turmeric: Konjac powder, Turmeric, Water (Eau). Pure: Konjac powder, Water (Eau).